The post Sports History as Threatened Public History appeared first on Public History Weekly. Gamification is on everyone’s lips and it's industry is booming. It is changing the teaching of history in schools and in public. Are there any limits to gamification when teaching history? The post Gamification as a Miracle Cure for Public History? appeared first on Public History Weekly. History is everywhere – but it is not always easy to perceive it. A sharpened view is needed as the example of the "stamp" illustrates. Stamps are in fact an ideal window into history. The post Stamps Influence and Mirror Public History appeared first on Public History Weekly. The post Who Owns the Museum Narrative? appeared first on Public History Weekly. Pinchas Gutter ist ein letztes Mal nach Majdanek zurückgekehrt. 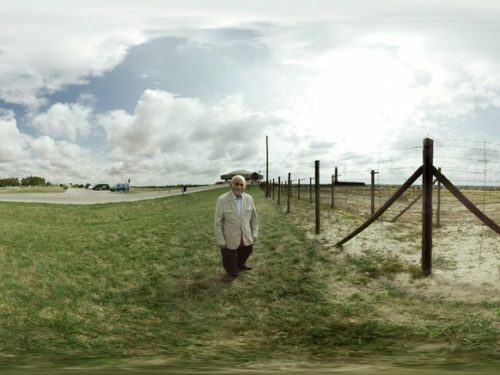 Er führt Besucher*innen über das Gelände (Bild 1), durch Baracken (Bild 8) und die ehemaligen Gaskammern: “I have come to this place – to Majdanek – to convey the truth of what actually happened.” Ein Holocaustüberlebender, der durch eine Gedenkstätte führt, das ist nichts Neues. Allerdings befinden sich die Besucher*innen während der Führung tausende von Kilometern von der Gedenkstätte Majdanek entfernt. Das Lager und Pinchas Gutter sehen sie durch eine Virtual Reality Brille. Die Virtual Reality Animation The Last Goodbye ist eines der neuesten Projekte der 1994 von Steven Spielberg gegründeten USC Shoah Foundation.